For the last few decades, while America has been all about sit-down restaurants, other countries like Paris and Hong Kong were embracing the art of street food. Now, however, food trucks have become increasingly popular in a number of US cities. Food trucks offer niche cuisine, from authentic international food to vegan options to crazy desserts, with the added bonus of changing locations every day if they choose, which is part of what makes street food so fun. 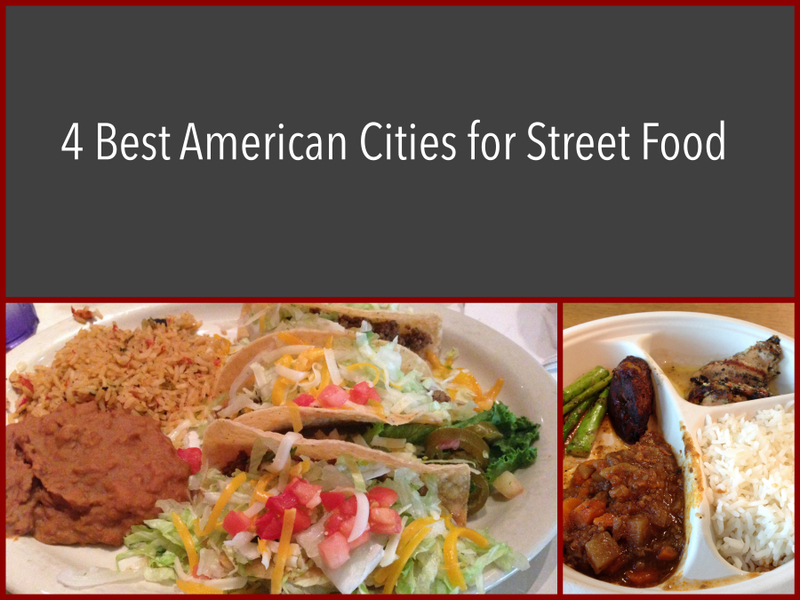 Read on for four cities with outstanding street food options. Portland's food carts number in the hundreds, and you can find the best concentration of them between Southwest Alder Street and Washington Street. Portland calls these groupings of food carts "pods," and they're located all over town, not just at Alder Street, so you can find several food options at once. Other popular pods are Mississippi Marketplace, where you'll find vegan options next to Korean tacos, and Cartlandia, a collection of 30 carts offering a wide variety of international cuisine located next to a popular bar and beer garden. This is truly one of the best places to live if you want great street food. Boston is home to a number of food trucks, which are becoming ever more popular in the US. Boston also has a number of the more traditional food stalls, stands, or shacks -- depending on how you like to name them. Check out Karo's BBQ for some simple, homemade barbecue, or Sami's Wrap N Roll for Lebanese cooking. Downtown Crossing is home to a number of pushcarts and vendors, including a considerable concentration of food carts, so it's a great place to start when looking for street food in Boston. Popular spots for Chicago's food trucks are Wacker and Adams, Clark and Monroe, and the University of Chicago. From Spring til Fall, Daley Plaza and Willis Tower host weekly (Daley Plaza) and monthly (Willis Tower) food truck fests. Find trucks themed for barbecue, donuts, and sausage. From Mexican to Indian, Chicago also boasts a number of international food trucks as well. You can often find them at other places throughout the week when they aren't congregating for the food truck fests. LA is known for having more than 200 food trucks serving all stripes of food, from gourmet to greasy, from traditional American to exotic and foreign. Get pudding, ice cream, vegan, lobster, grilled cheese, and so much more. Myriad websites are devoted to tracking down the food trucks, so hop on Google to figure out where some of the best are. Or, just pick your favorite food and go looking. There's probably a food truck that serves it. Food trucks and carts often offer more inexpensive options than restaurants do, and in these cities you're likely to find a food truck that's right up your culinary alley. Explore the tastes of other countries, get some truly amazing homemade comfort food, or try a dish you've never heard of before. Track down the most intriguing food truck and get eating! Who doesn't like music? My daughter is enjoying music and she's been asking to play a new instrument or join a musical theater. Though , I do my best to give what she likes most of the time. Choosing an activities is not easy considering she likes most of it. Last week we attend party and I've seen like this stanton dj mixer . It was pretty cool. The music, food and friends makes a big difference in the party.